Great Incentives. Low Interest Rates. Live-In Ready Homes. And More. Purchase a new live-in ready Brookfield Residential home today in Oakley and close by March 31, 2019, you’ll take advantage of great incentives, low interest rates and more —now that’s something to home in on! Visit or call the sales office today for more details. The new single-family homes in Oakley at Laurel by Brookfield Residential deliver all the charm of Oakley with the easygoing lifestyle of the Emerson Ranch master-planned community. From playing ball and barbecuing with the neighbors to staying in for family nights, every day here feels more inviting. Families have room to stretch out and grow at Laurel in brand new homes ranging from 2,228 to 3,564 square feet. With up to six bedrooms and four bathrooms, there’s plenty of space for everyone. And open designs featuring large great rooms make it easy to host parties, whether it’s with extended family, neighbors or the kids’ teammates. 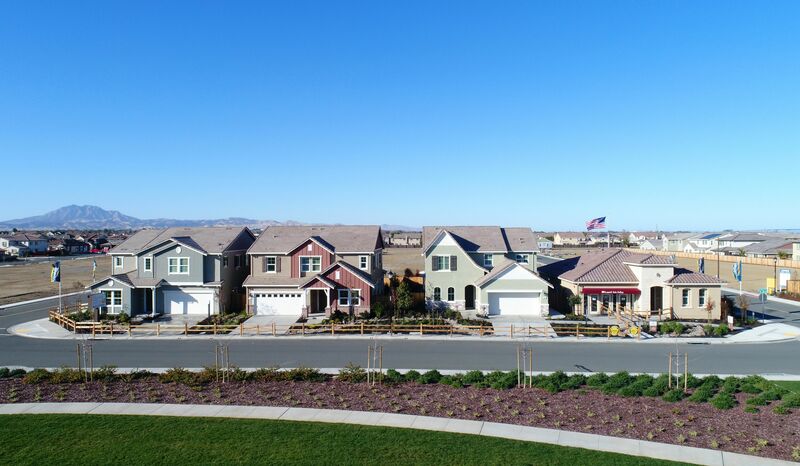 Emerson Ranch in Oakley comes with a sense of community and relaxed way of life. The picturesque lake and community park lead to relaxing afternoons, while the soccer field, baseball diamond and basketball half-court are always fun ways to stay active with friends. This is a place of a different pace – and it’s all yours.